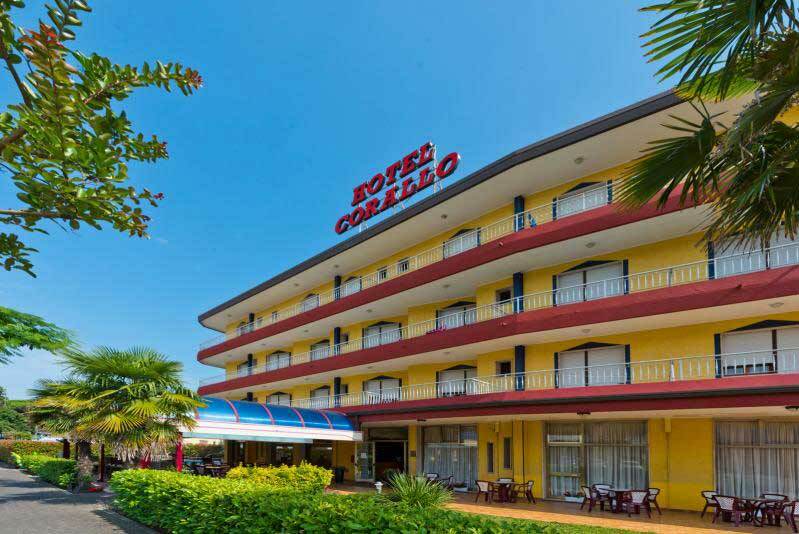 Hotel Corallo is located in the heart of the shopping and pedestrian area of Eraclea Mare, not far from the beach, near the pinewood that stretches all along Eraclea Mare, with its characteristic maritime pine scent and its vegetation where you can often see wild squirrels climbing the trees and running along the paths. 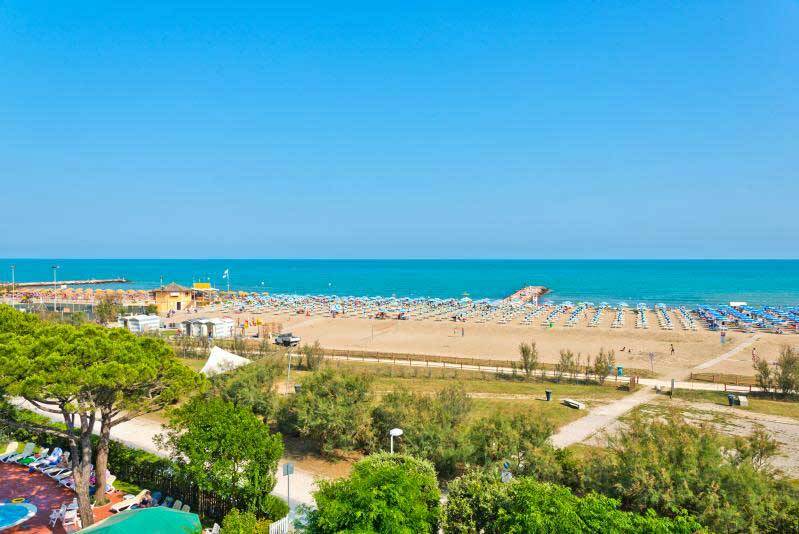 Eraclea Mare is the ideal place for a regenerating holiday and to spend a few days at the seaside and walking in nature. 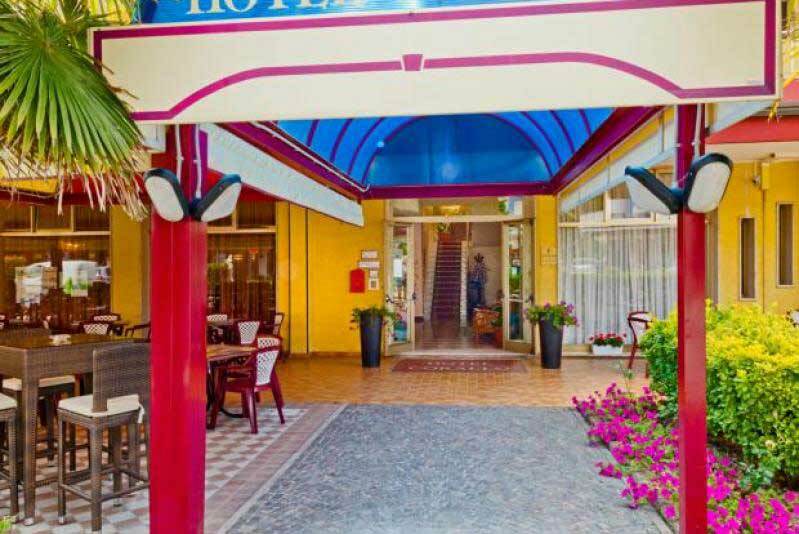 If you stay at Hotel Corallo, you will have the opportunity to visit the city of Venice, which is within a short distance. 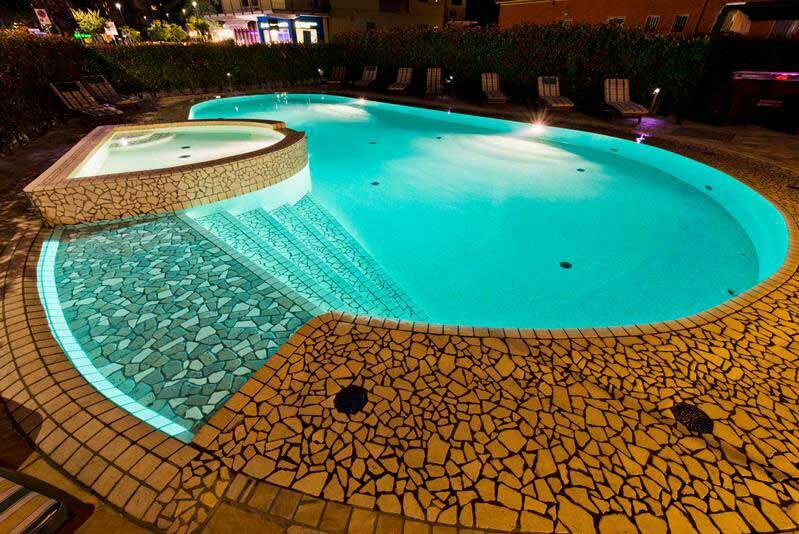 And if you love spending your summer days by the pool, Hotel Corallo welcomes you to its relaxation area with gazebo and lounge area, swimming pool with water jets in the shallow end, mini pool with Jacuzzi with aromatherapy and chromotherapy. Relaxing moments to spend with your family or with friends. The summer terrace facing the promenade, which in the evening becomes a pedestrian area, is ideal for a coffee break or for an evening ice cream treat. 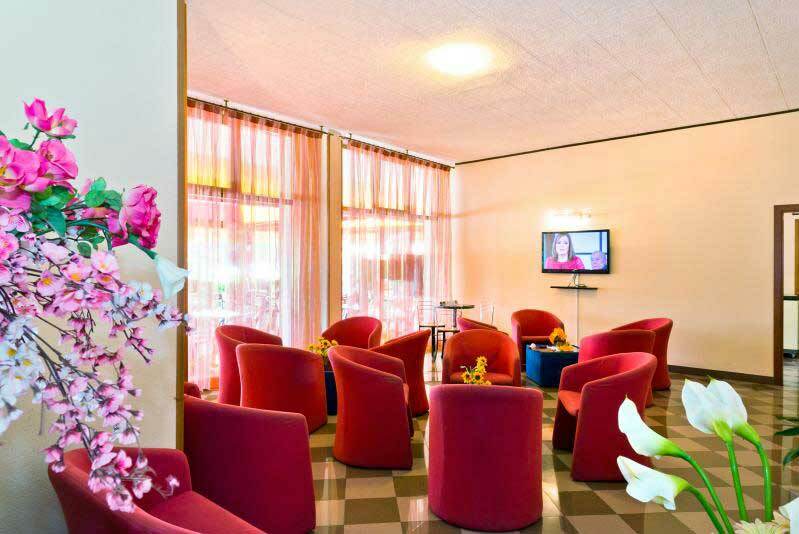 As for evening entertainment, Hotel Corallo offers initiatives and musical events. Not far from the hotel there is a private beach with beach umbrellas and sun loungers. 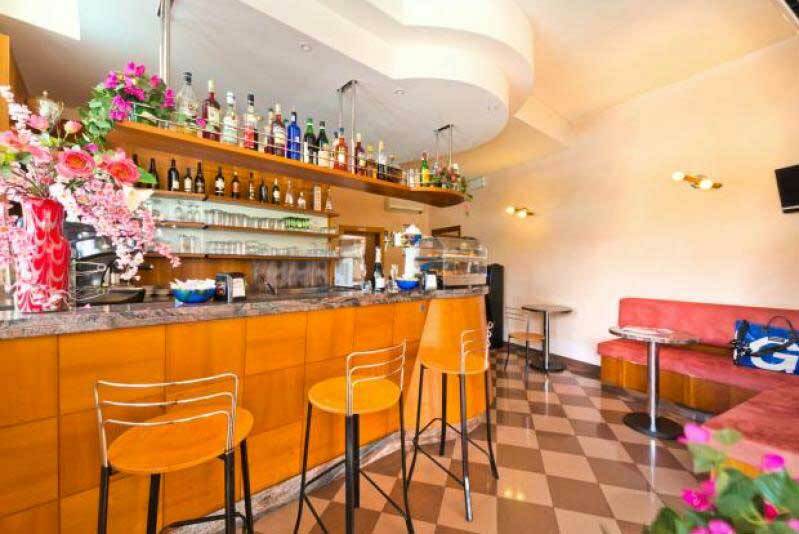 Hotel Corallo has its own free parking and free Wi-Fi service. We look forward to seeing you at Eraclea Mare for your Beach Holiday!